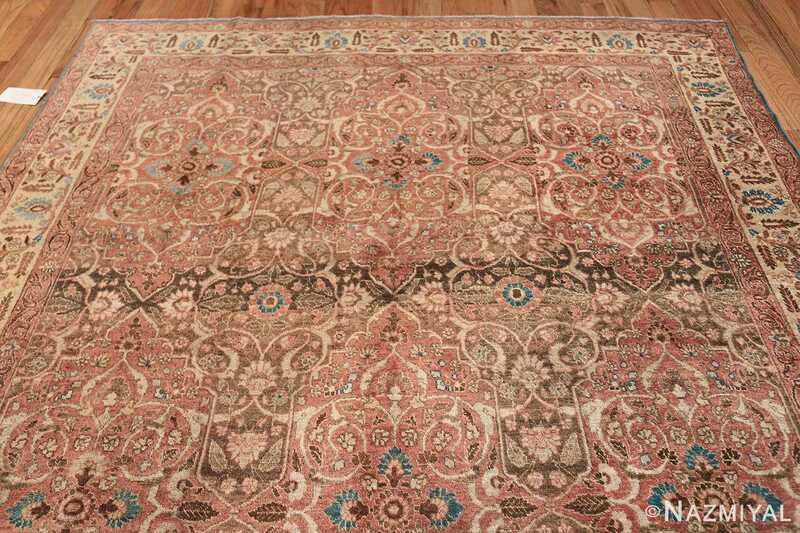 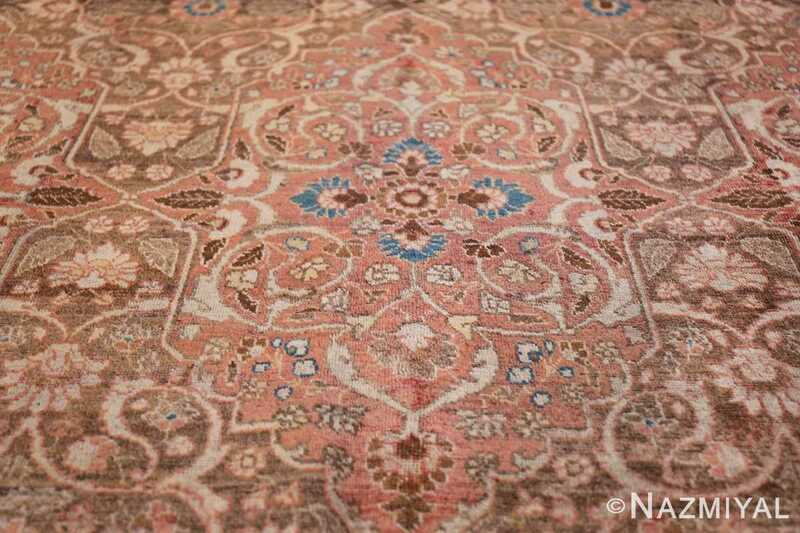 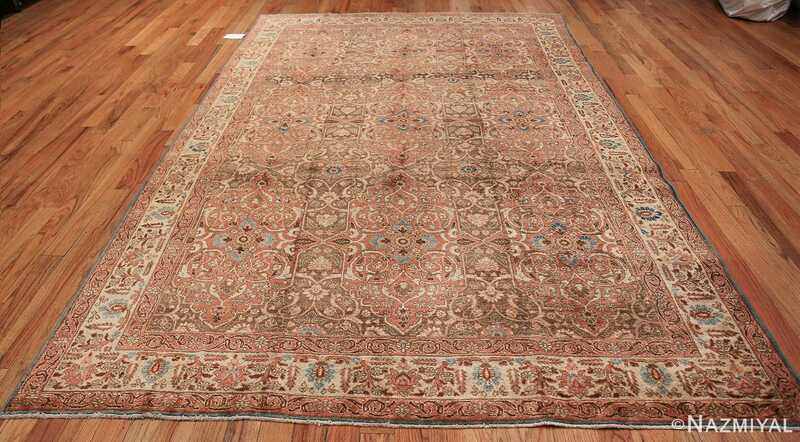 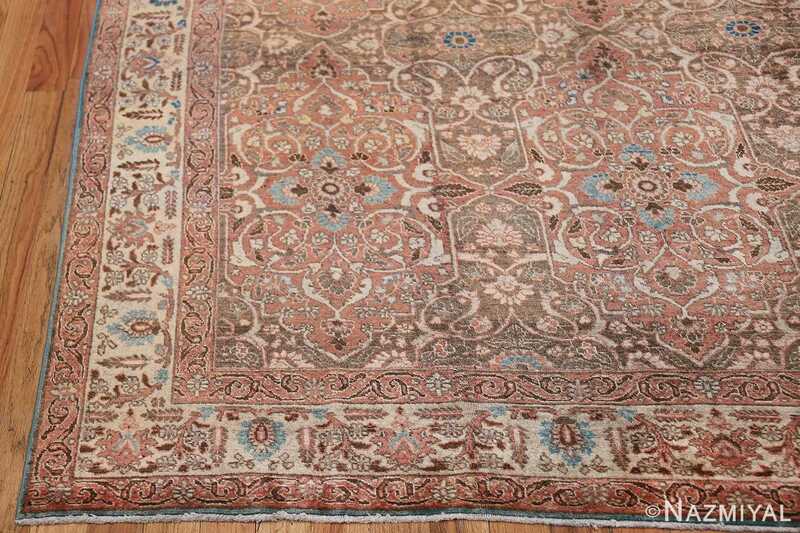 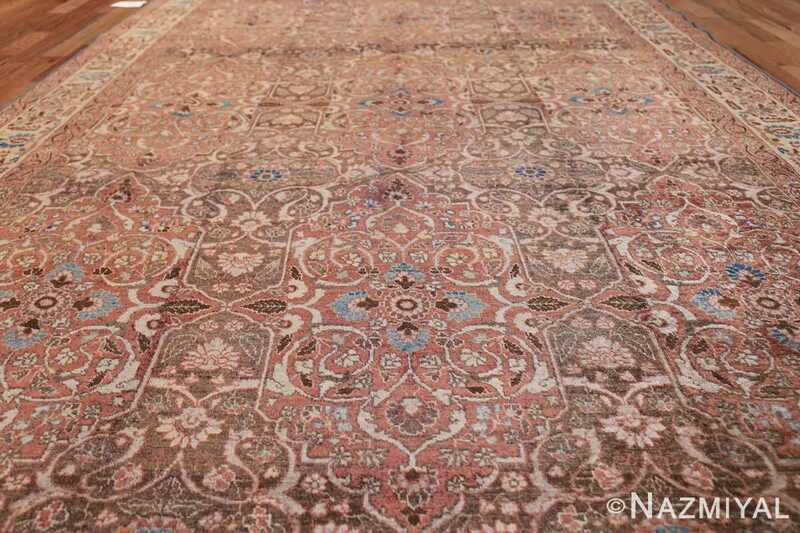 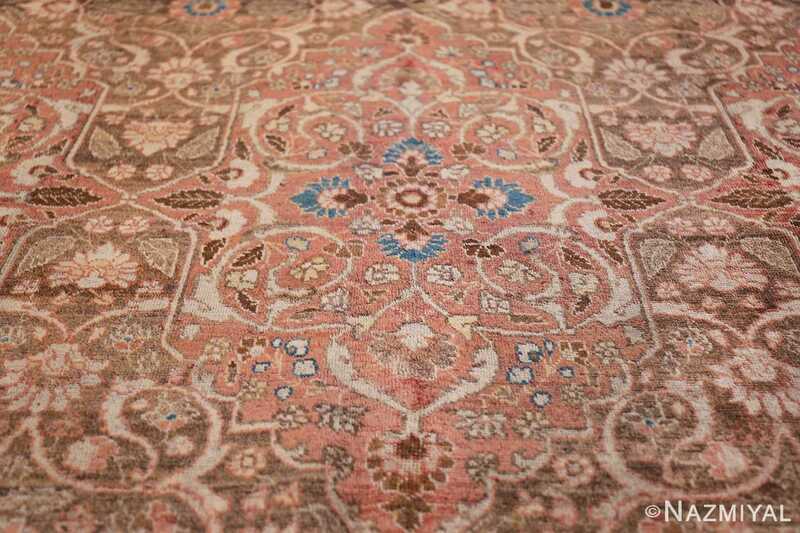 Antique All Over Design Persian Floral Tabriz Rug, Country of Origin: Persia, Circa Date: 1900 – A beautiful antique Persian rug, this Antique Tabriz rugs features a Persian floral pattern that beautifully defines the elements within. 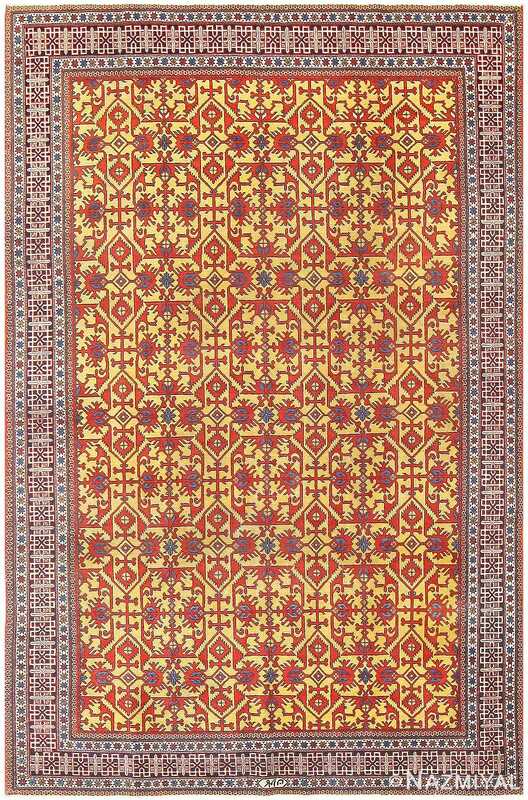 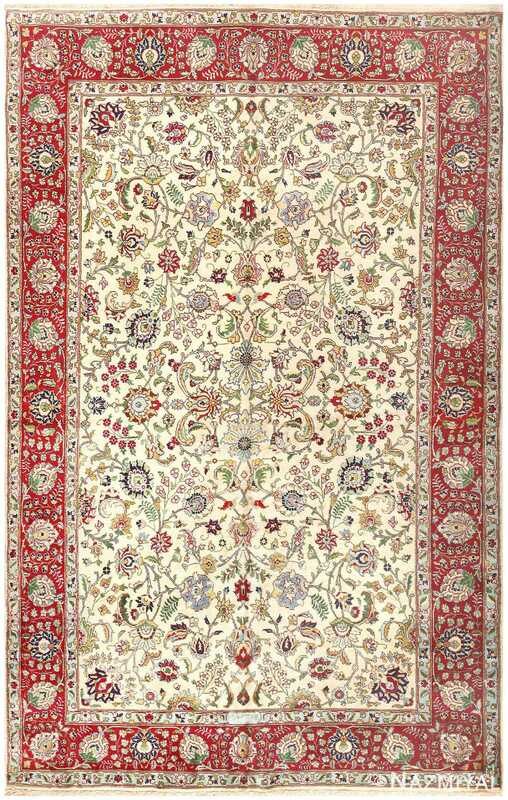 Viewers are treated to an elegant degree of detail in every aspect of the rug, and the gentle colors allow viewers to visually transition in an easy and fluid way. 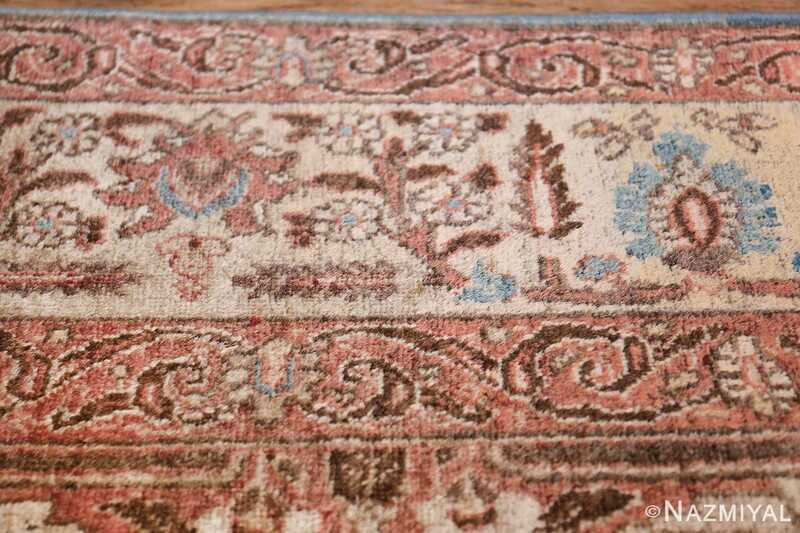 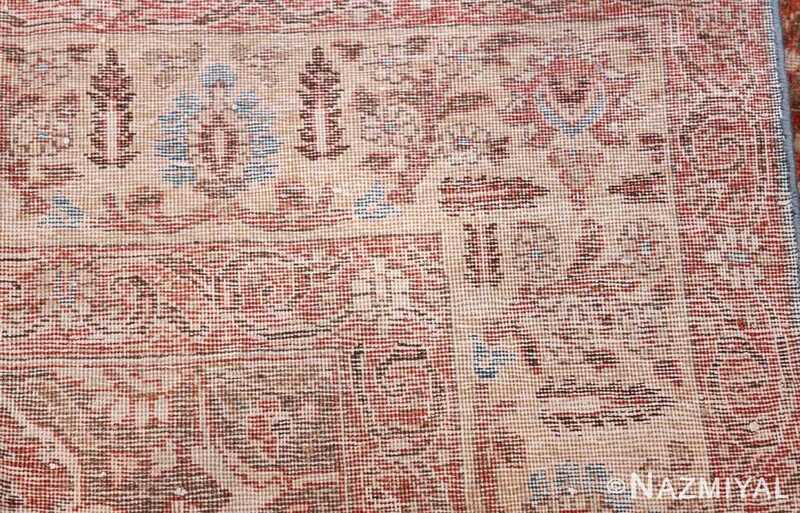 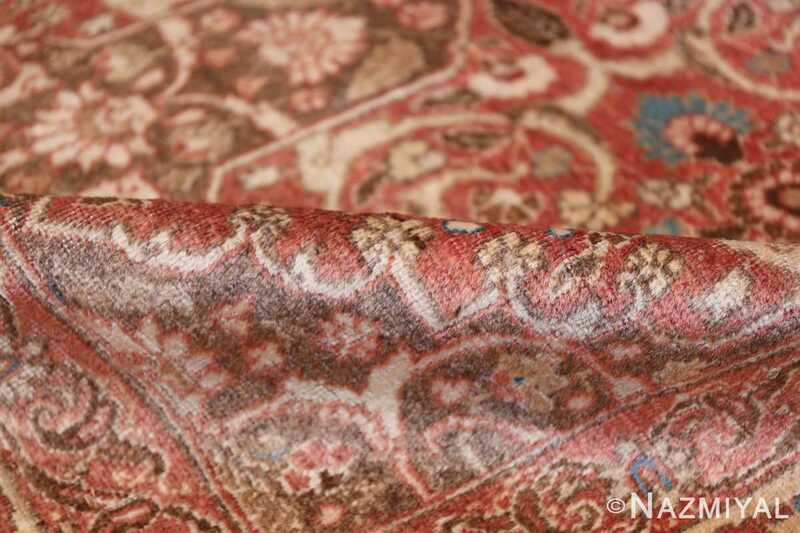 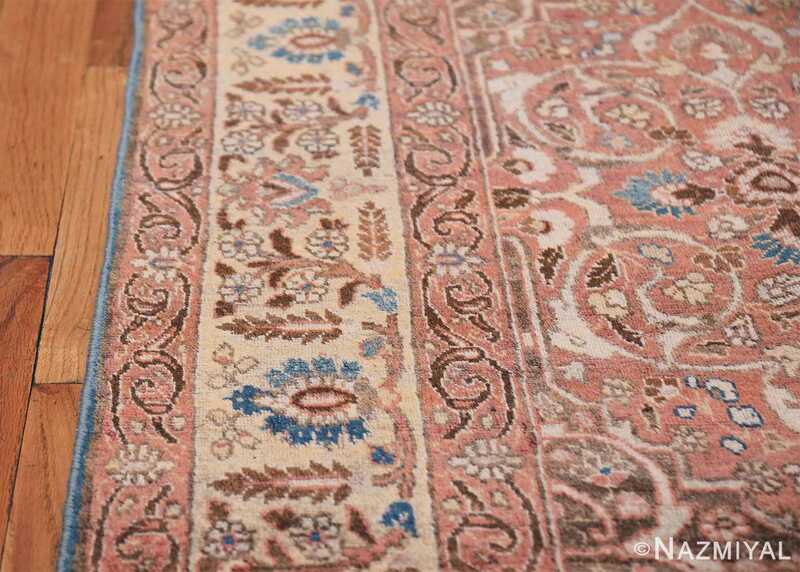 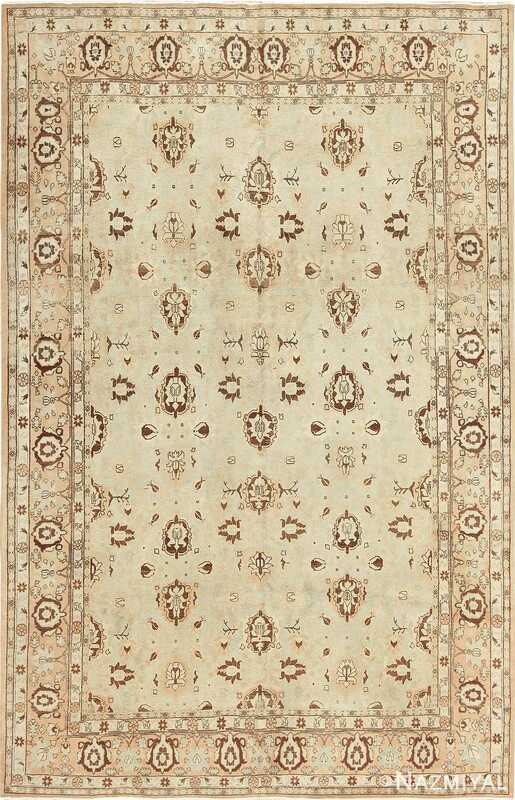 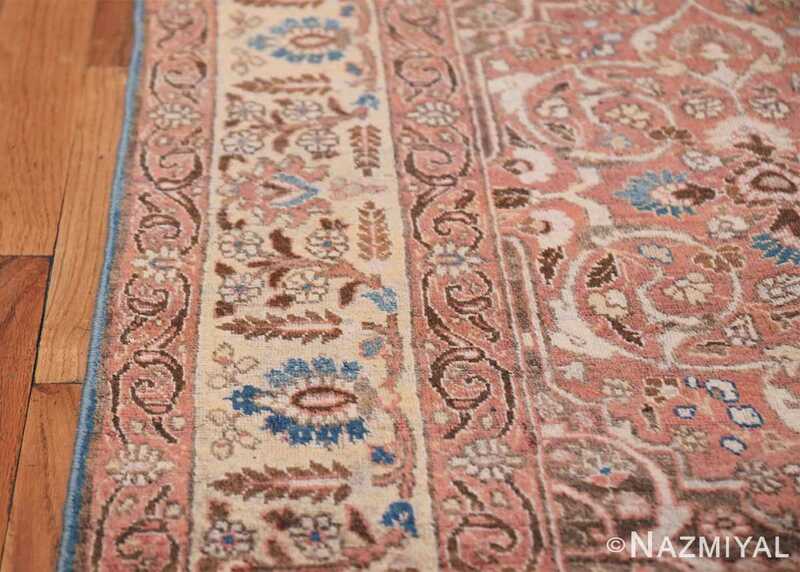 The predominant palette of this antique rug consists of earthy and sandy tones, coming together to create a distinctly grounding piece that looks soft and warm to the touch. The beautiful curves and Arabesque patterns fill the center of this fine antique Persian Tabriz rug, and each flowing element seems to connect to the next, leading the viewer on a journey through the rich landscape. 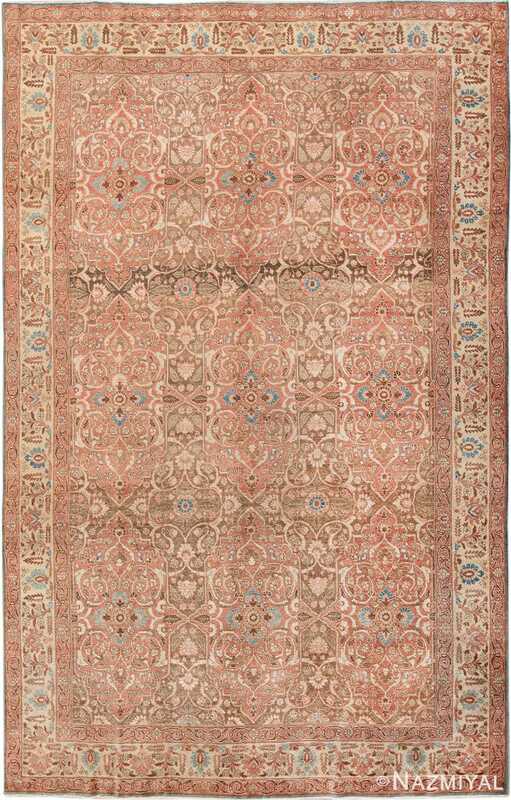 Bold and precisely woven throughout, this antique Persian carpet from Tabriz is an excellent example of what is known as a "Lotto Carpet."